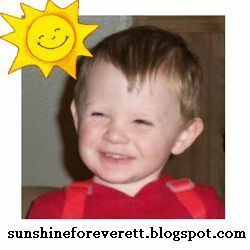 Join us in sending Everett sunshine on your Facebook page! Let's put that silly new timeline to work. We've created a series of timeline banners for your use on your own personal Facebook page. 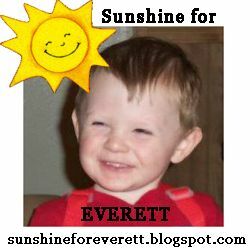 Let's show Everett and his family that we're sending him love, positive thoughts, sunshine, and prayers every single day! Simply right click on the image below that you want to use and save into your pictures. Then upload from Facebook following their directions! All images are sized to the timeline specifications. Similarly, you may also choose one of our buttons to use as your Facebook or Twitter profile picture. 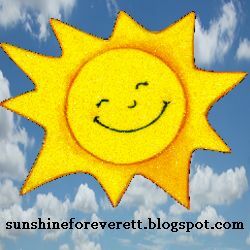 Let's keep sending the sunshine!! Join us in prayer for Everett's recovery. Helping Everett One Lipstick At A Time! Share Us On Your Blog! Click for gift shops, driving directions, visiting hours, and more. 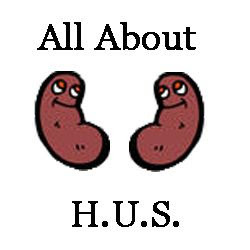 Click for info on Hemolytic Uremic Syndrome. Created by AbbyGabs.com. Simple theme. Powered by Blogger.